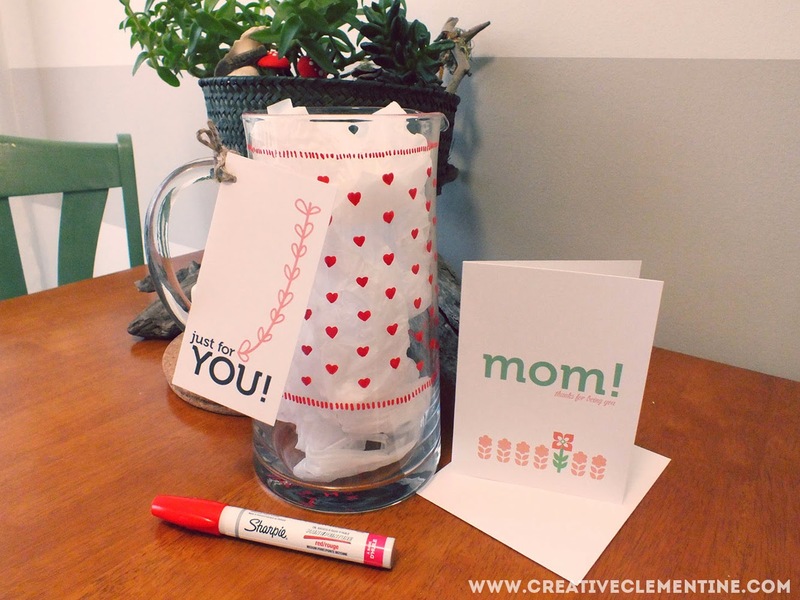 Seeing as yesterday was Mother's Day, it seems appropriate for today's DIY post to be about what I gifted my mother. Several years ago, I accidentally broke a pitcher that had belonged to my grandmother by pouring hot liquid into it to cool for iced tea. The pitcher was beautiful, and my mother was devastated (and a little annoyed... I was old enough to understand the concept of tempered glass). Since the day I broke the pitcher, I have been looking to replace it. It was clear glass, with little red hearts and cute dashed borders, and an elegant, straight shape. I hit up thrift shops looking for an exact replica, and eventually gave up and started looking anywhere and everywhere for a plain version with the same shape. It took about five years, but I finally found almost the right shape! I was cutting my losses and going with something at least close...Which then left me with only one problem: How to pattern it with hearts. Despite my handy dandy Silhouette Cameo, I decided against using a vinyl decal on the glass. I wanted it to be more authentic, and more permanent. 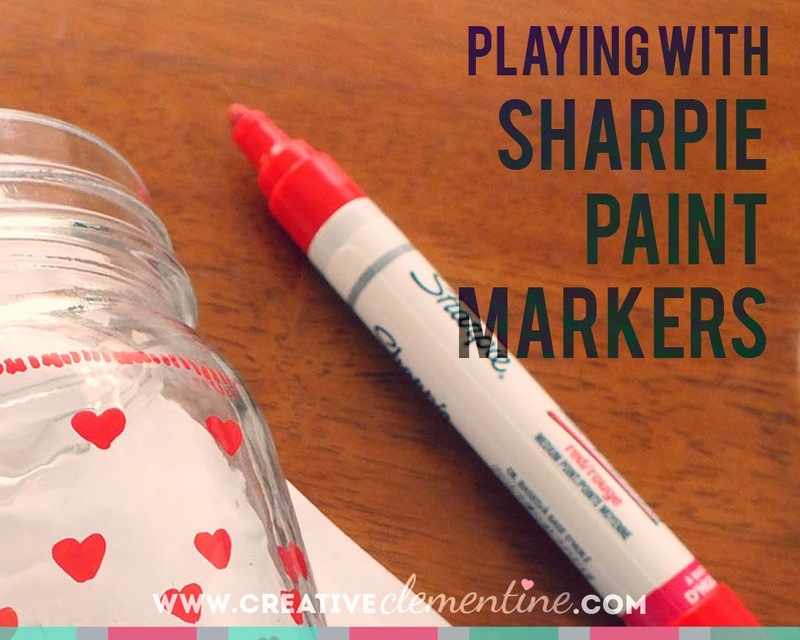 That's when I discovered that Sharpie makes paint markers now, and took a leap of faith that the Sharpie brand I love so much wouldn't let me down. 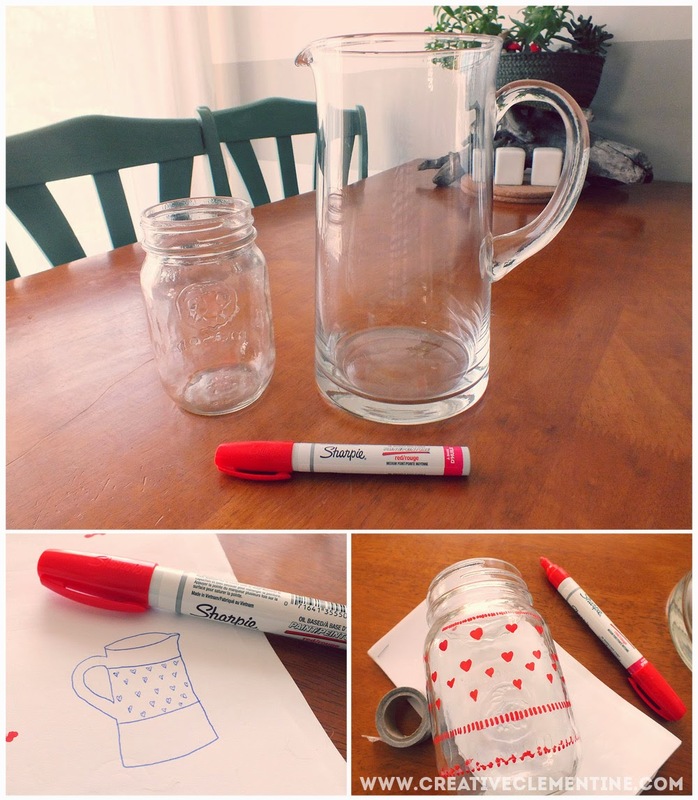 I discovered a few things while painting hearts on this pitcher. That I am terrible at drawing hearts. That in repetition, even ugly hearts look cute. That cute messages written backwards on the bottom of glass so it can be read from the top is a darling touch. And I also discovered that I am very happy with the imperfect way it turned out, because it can and never should compare to the original. It needs to be an obvious stand-in or it just isn't respectful to the original. I used the oil based paint for this project. The packaging says the paint is water resistant and won't easily wear. The paint itself was dry within minutes, but I left the glass to cure without fiddling with it for a day or so, just in case. In the end, I tied on a gift tag and mother's day card from Thunderpeep. It looks adorable all together! And let's be honest, I haven't "made my mommy" her mother's day gift since I was in grade school, so it was about time. This story is so sweet :)))) and love the new jug, imagine all the amazing stories that it will be a part of. Love the makeover with just a sharpie pen!! These would be great gifts around the holidays! Adorable. What a great DIY! Where did you find the sharpie paint pens? I've been looking but haven't had any luck. Anything I find online is so expensive compared to the ones in the US. I found them at Michaels! In the aisle by the graphic markers/fancy pencils. If you have trouble finding them at your store(s), shoot me an email! I'd be glad to help.